Have you ever dreamt to eat sweets all days and nights? For the sweet tooth, Endorphina casino software provider released perfect yummy Macarons slot game. This French dessert stole the way into the heart of the hundred candy men and women. Nowadays, gamblers have the great opportunity to taste delicious stuff with the generous Bonuses and big wins. We guarantee that you will be amazed playing Macarons slot machine for free or real money. On the reels of Macarons online slot you will find different variants of French finger-licking goodies. This romantic slot game will surprise even the most sophisticated players by the perfect graphics of symbols and pleasant musical background. Is it not enough glamour? 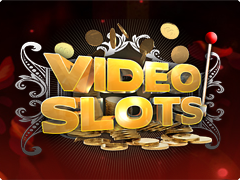 Then cast an eye at Mega Fortune online slot by NetEnt, featured by Mega awesome Bonus Games. The set of common gaming symbols includes macarons with different stuffing: with oranges and chocolate, raspberry, blueberry, nuts and chocolate letters in the form of gaming cards. In addition, you will meet the pictures of loved couple and personal symbols of woman and man. Interesting detail, that in paytable all this stuff is placed on the vintage golden serving platter. The most expensive symbol is the picture of couple that presents players up to 5000 coins. The special set is represented with Wild and Scatter. Wild is the picture of champagne bottle that will replace all symbols except for Scatter. Scatter is the picture of cake's box that is going to activate Bonus Free Spins. 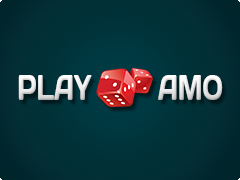 If you are lucky enough, you will gain 20 Free Games with x4 multiplier. Free Spins are able to be triggered during Bonus Feature. As usual, Endorphina provides their games with the Risk Game that is able to double your gambler’s amount. But you have to guess the right value of the closed cards.